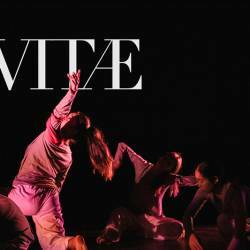 Critically acclaimed, martial arts-influenced contemporary dance from Korea. 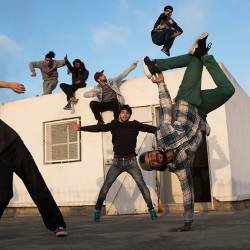 Bereishit Dance Company presents two martial arts-influenced dance performances, Judo and Balance & Imbalance. Complete with live traditional pansori music, see an extravagant performance that reaches the heights of athletic ability fused with beautiful choreography. Pattern and variables as inspired by judo. Aggression, the human instinct, stays inside of us and continuously needs the exit. Sports have been developed for the chance of emitting the violent urges. This kinetic piece embodies symbolic meaning of sports by harmonious image of rhythm, movements and space. Sports are also a tool for releasing aggression, provoking catharsis to overcome physical limitations. Judo’s choreography, which is performed on an actual stadium mat, uses various movements of sport to draw in the audience, and bring them closer to the tension, catharsis, and immersive feeling of the game. Body movements and sounds are the oldest and most basic tools for human beings to express themselves. Focused on these “body movements and sounds”, Bereishit present themselves and communicate with others. In this work, accompanied by a live pansori (Korean shamanistic music) ensemble, Bereishit looks into “the sound made by the body, the movements made from the sound.” Body, which perceives us and others, makes sounds, and through this process the relationship with others is circulated and expanded by repeating balance and imbalance. In the right center of this, there is excitement created by the body movements and sounds. SOON-HO PARK studied contemporary dance at Hansung University in Seoul, Korea, and actively worked as a professional dancer from 1992 to 2001. He then completed a choreography course at the Arnhem European Dance Development Center in The Netherlands where he developed his work, trying diverse experiments through his solo or trio pieces. He participated in many projects as a dancer in The Netherlands, Germany and other European countries and was selected as the New Choreographer by the German institution PACT Zollverein in 2003. Soon-ho has done various works and projects with installation and media artists, and musicians, including a collaboration with Giga Hizume, who is the director of Sal Vanilla, a multimedia and live performance group in Japan. He has received major funding from Arts Council Korea, and awards including The Choreography Award of the Year by the Performing Arts and Film Review, The New Choreographer’s Award by the International Modern Dance Festival, and the Best Choreography Award both from the Korean Dance Researchers and Critics Association and the ChangMu Arts Center. His work opened the Festival Asia in Barcelona, Spain, in 2007. Since then, it has been presented at venues and festivals in many countries such as Poland, the United Kingdom, Brazil, Uruguay, India, Switzerland, and Mexico, amongst others. Since he founded Bereishit Dance Company, the company has been invited by many festivals and venues including Jacob’s Pillow Dance Festival, Cervantino Festival and the Internationale Tanzmesse nrw. Since 2004, Soon-ho has been working very actively not only as a choreographer but also as a teacher. He currently teaches contemporary dance techniques and choreography at several universities in Korea.Soon-ho’s works convey the various images surrounding the relationship between nature and people. Focusing on the origin of movements, he is interested in the fact that every subject has two different ends in itself. Dutch critic Mark Ben referred to him as transmitting ‘astonishing stimulation’. Not using music as a tool in his dance works, he considers himself as the visual movement or bodily rhythm. He believes that the sound can touch the heart and be expressed as movement. Seizing the subtle bodily rhythm in the works, he will open up the eyes and ears of the audience members.